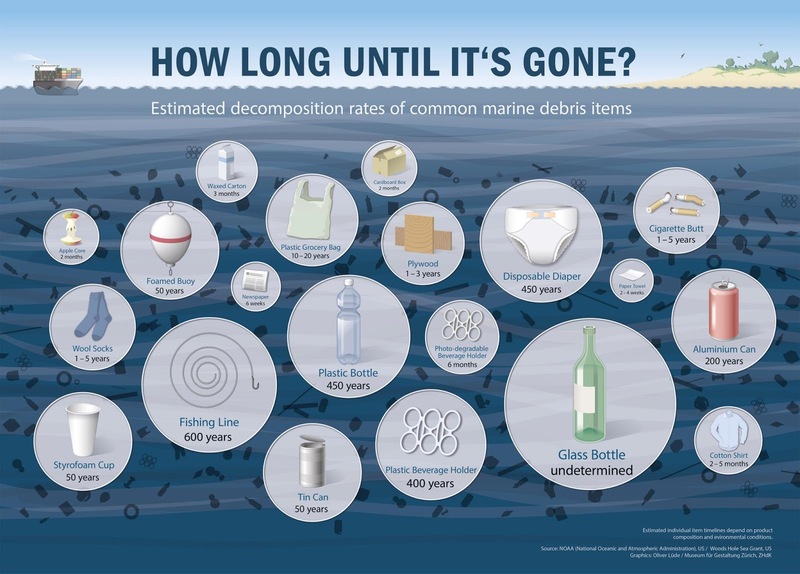 Some of you may know this already but for those who do not then have a look and maybe think about it when your throwing your rubbish away. Just because you can’t see it anymore doesn’t mean it simply disappears, not at all. Most of what is listed above is simply tossed into the sea, with no regard for what lies beneath. Ingnorant folk may well convince themselves that there is nothing beneath the sea but sand and rocks, but they would be wrong (for now at least) thinking in this manner as many life forms still swim, or try to swim through all of the above, often catching themselves inside a plastic can holder, deeming their fins, mouths, or general movement completely useless. Perhaps you are unaware that in the middle of the Pacific Ocean floats a massive vortex of discarded plastic bottles, cups, containers and much more, a plastic presence which scribbles an ugly blotch of dots on the Greenpeace maps, and stands as an ominous reminder that if we don’t stop consuming and throwing away plastic and other such waste as we have been for the last 100 years, then we will face far graver consequences than we have previously imagined. 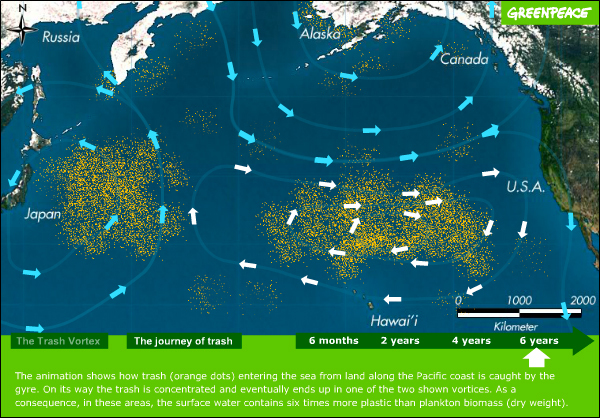 This human rubbish tip spreads all the way across the North Eastern Pacific, from Tokyo to San Francisco, covering roughly 540,000 square miles (double the size of Texas).